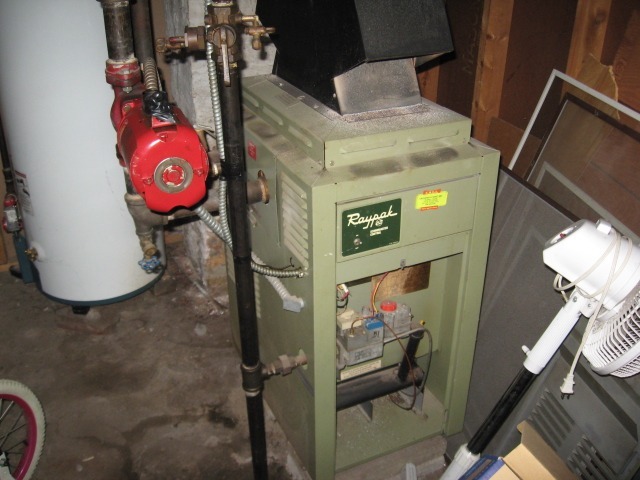 Hot water heating maintenance procedures should be an important task on your interior fall maintenance list. Bleeding your radiators means releasing any air trapped in them. This hot water heating maintenance process improves your hot water heating efficiency instantly. Hot water can flow into every part of the radiator, so it does a better job of warming your room. In order to figure out your hot water heating system’s radiators performance, turn up the thermostat a few degrees above the room temperature, make sure that all of the radiator valves are open, and run the system for 15-30 minutes – more or less will depend on the design of your system and a floor plan of your house. Touch the radiator surfaces; if you notice that the upper sections are cold or remain significantly cooler then the bottom, it means that the radiator requires bleeding. The bleeding procedure is very simple, but if it hasn’t been done for a while, the valves might break while opening or start leaking after the service has been performed. Therefore, if you are in doubt about how to perform this task, call a professional. After testing the radiators, turn the heat off and let the radiators cool. 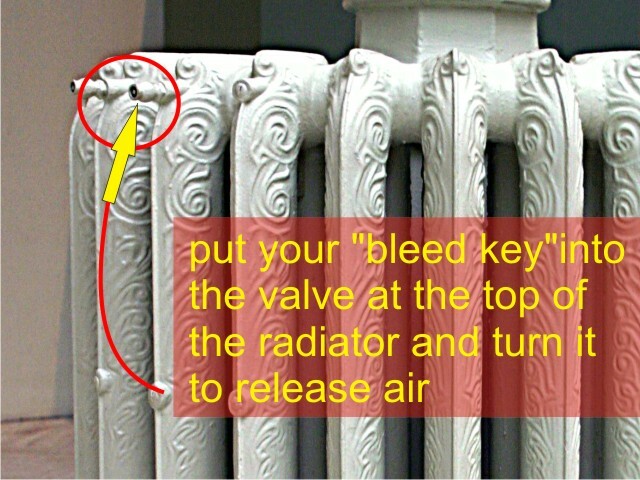 Then put your “bleed key” into the valve at the top of the radiator and turn it to release air. Make sure you have a rag or a container handy to contain any small amount of water that may spray out once the air is released. Install a reflective heat panel behind the radiators, especially ones that are attached to the exterior walls – this helps a lot in older homes, which have little or no wall insulation installed. The panel will reflect / direct heat from the wall behind the radiator towards the living area. You can purchase reflective materials / panels designed specifically for this purpose and just cut them to the required size. A Novitherm™ is just one of the examples you can use, or simply do it yourself. Grab a piece of cardboard, thin plywood, paneling, etc. Cut it to the size of the radiator, attach aluminum foil to it (shiny surface out), and slide this reflector behind the radiator. Whatever you’re going to attach the foil with, make sure that it doesn’t become toxic when exposed to heat – read the labels! If you have enough clearance behind the radiator, purchase a 1” thick insulating foam panel that is lined with aluminum foil, cut it to the size of your radiator and then slide it behind. Reflectors can be installed behind the hot water heating and steam radiators (including hot water baseboard heaters). However, you have to make sure that the material you are using can handle the temperature of the radiator. For the hot water system, it would be 180°F, while steam radiators may reach 215°F. The hot water heating radiator manufacturers recommend maintaining at least ¾” clearance between the radiator and the wall behind it in order to maintain its maximum performance. Make sure to maintain that ¾” clearance when choosing the reflector. Placing the reflective material between the hot water heating radiator and an un-insulated (or poorly insulated) exterior wall might result in condensation buildup and mold growth. You should be OK when using insulating materials for the reflective panel purposes and securing it flat / tight / permanently against the wall. Loose or temporarily attached reflective panels should be monitored periodically for any signs of moisture, condensation, and mold. I hope those hot water heating maintenance tips for the interior fall maintenance will save you a few bucks during the cold season.